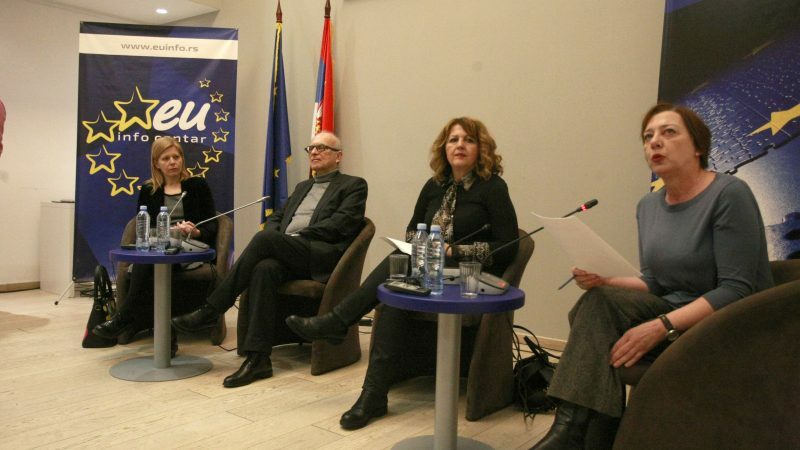 Although Serbian citizens will not vote in the European Parliament election in May, its outcome is certainly of interest to them because it will affect the future course and pace of the EU candidate country’s negotiations with Brussels. EURACTIV Serbia reports. The elections will show which policy will prevail in the EU, but for Serbia, it will also be important to see the make-up of the new European Commission. Particularly relevant is who will lead its diplomatic arm, the EEAS, whether the Commission will have a separate enlargement commissioner and which country they will be from, said participants at a panel discussion on European elections and the European integration process. In the short term, the approaching elections will delay the publication of the Commission’s annual progress reports for Serbia and other Western Balkan countries from April to the end of May. The purpose of that, according to Dušan Reljić, head of the Brussels office of the German Institute for International and Security Affairs (SWP), is to avoid the issue of enlargement inciting a populist mood ahead of the elections. Enlargement is not exactly a popular subject in the EU and the member states’ governments do not want to impose it on the citizens – taxpayers – before the election, agreed the panellists – Reljić, Ksenija Milenković, assistant at the Serbian ministry of European Integration, and Suzana Grubješić, European Movement in Serbia (EMinS) secretary general. To overcome resistance to enlargement, both the countries engaged in the accession talks and the EU itself have to put in more work. The candidate countries, in Grubješić’s words, can ‘press’ the EU by working on reforms and improving the rule of law, media freedom, the fight against corruption etc., because once they’ve become members, the EU no longer has the real leverage to deal with any shortcomings. In the accession negotiations so far Serbia has opened 16 negotiating chapters and temporarily closed two and, along with Montenegro, is the country that has made the most progress on the road to the EU in the region. At the same time, however, the EU governments too, according to Milenković, should work to soften the opposition to the enlargement policy among Europeans and convince them that the bloc’s expansion into the Western Balkans would not cause immeasurable damage, quite the contrary. On that note, Grubješić said that European politicians have to put in more efforts where the region is concerned, otherwise ‘someone else will sneak into the field’. The panellists also highlighted the importance of economic empowerment of the Western Balkans and the need for the EU to secure bigger grants in order to boost the region’s growth. Economic growth rates in the region are positive, but far from enough to bring these countries closer to European standards. When it comes to what is the top issue ahead of the election, Reljić said migration was no longer at the forefront for European voters. The essential question was the growth of inequality in wealthy societies, he said.